Meal time with baby is often messy. Sometimes it’s easy to acknowledge that they’re trying, or they don’t know any better. Other times it feels like they’ve specifically vowed to make breakfast, lunch, and dinner as difficult as humanly possible. Little ones are often still gaining control of and exploring their motor functions, resulting in food traveling to all sorts of places it shouldn’t. And with the adorable new onesie that nana bought them, or that stylish little dress your co-worker recently gifted you, you want all hands on deck for protection and cleanliness. Baby bibs and burp cloths are one such way to ensure that, wherever else their food might land, it won’t be on their clothes. These bibs also help catch the inevitable waterfall of drool that makes its way onto the map during mealtime. Bibs are a great way to protect your infants cute outfits from everything from drool to food. Some of these bibs are even stylish and make a great accesory for their outfits. We updated our list and made sure that they were all still available as the highest rated bibs in the market. We also converted this guide to our new layout. Happy Healthy Parent’s silicone bibs are perfect for meal times. You can choose between four color combinations and each purchase comes with two bibs. The color combinations are lime green, turquoise, pink, purple, red, blue, orange, or grey. The silicone material is lightweight, thus providing comfortability for your child. Being 100% waterproof, these bibs will not absorb any liquids or food, so you won’t have to worry about stains or odors. Rolling the bibs up also makes them super easy to transport around as they take up little room. No matter how much food is spilled into the pocket, these bibs can be rolled up to keep the mess in until it can be dumped. These bibs can be worn by children who are 6 months to 6 years old. It is also very easy to clean as it can easily be wiped with a washcloth. Fewer Loads of laundry for you to have to worry about. With high absorbency rates and hypoallergenic design, these bandanas are heavy-duty hitters in the world of messy meals. They’re made of 100 percent organic cotton, with a patterned front and stylish cut. Carefully stitched, these will stay strong and vibrant even after tons of use. Bandanas are certainly the most stylish option of the bunch. This cute set is effective too, though, with its high absorbency rate and machine washable, hypoallergenic fabric. The snaps are adjustable and engineered not to irritate baby’s sensitive skin in the back. . This pack of 12 gives the family plenty of backups and overstock to utilize when the first few need to be thrown in the wash. Saddle up, partner! It’s dinner time! Thread in the middle of the catch-all pocket should be removed. If you’re worried that traditional bibs don’t provide full coverage, give the Bumkins sleeved bib a try. Simply slide your child’s arms in the armholes, tie the strings in the back and wah-la your child’s shirt is fully protected. The sleeves also allow your child to self-feed without leaving a huge mess for you to clean up. They even are designed with a catch-all pocket. 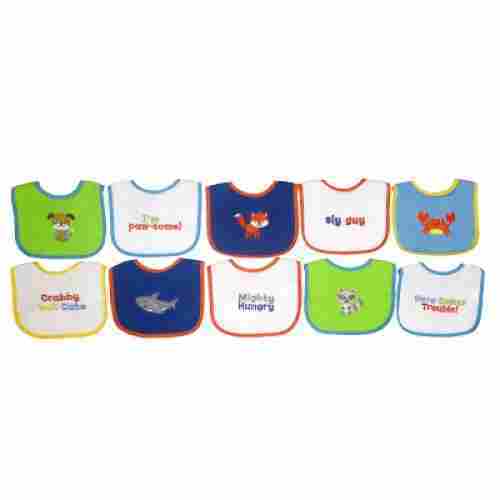 These bibs are geared towards children who are between the ages of 6 to 24 months. The bibs are made from 100% polyester and have a waterproof coating. The sleeves are designed with elastic cuffs, so they can easily be rolled up if need be. The sleeves on this bib are perfect for the children learning how to self feed. The elastic cuffs make the sleeves even better as they can be rolled up without a problem. More sizes are offered during purchasing. You can even choose between 26 different designs. YAY, easy cleanup! If you’re not in the mood to wipe them with a cloth, just throw them into the washing machine. The Premium Bib set comes with four 100% cotton feeding bibs. These bibs are 8.5” X 14” so your baby will be completely covered in the front. Each bib varies in color and designs so finding one for your little boy or girl will be easy. The length of these bibs are great for containing messes. 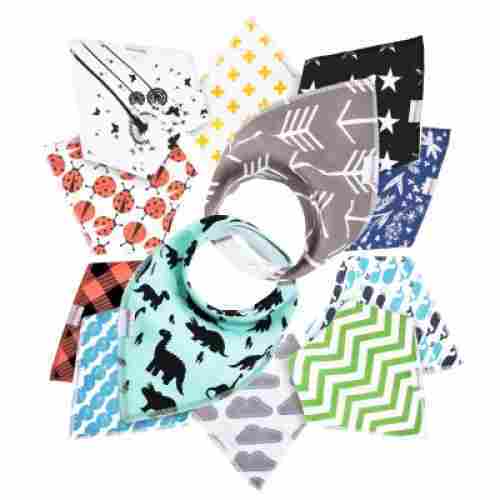 We love that you receive four super soft and absorbent bibs with your purchase. 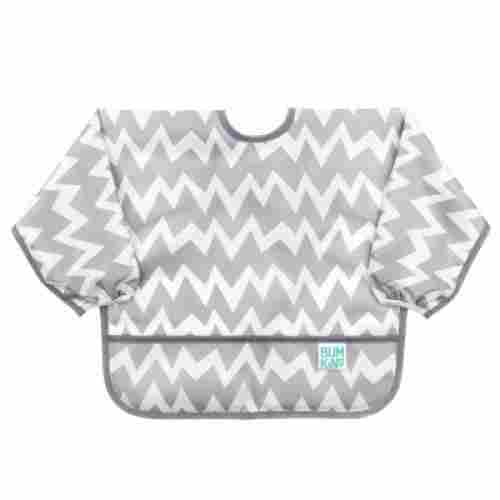 The back of the bib is 100% polyester fleece which provides an extra level of absorbency. Each bib includes three nickel free snaps. 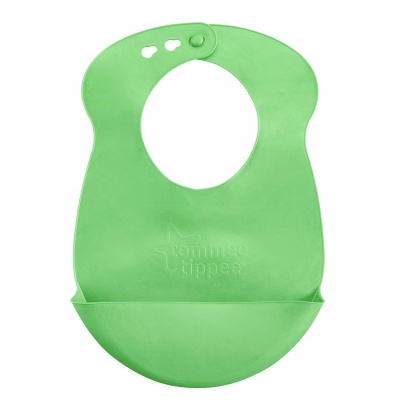 The snaps make it hard for babies and toddler to pull off the bib during feeding. They also will cause zero irritation to your child’s sensitive skin. These bibs are machine wash safe and are durable enough to survive countless washes. This award-winning bib is a BPA-free, phalate-free, crumb-catching master. The scooped end collects all kinds of mess, from drool, to slop, to crumbles. A dimpled reverse backing promotes airflow and breathability, so baby’s sensitive skin won’t get irritated. The bib rolls up nice and neat for storage and travel, making it a mobile-friendly, compact option for families on the go. 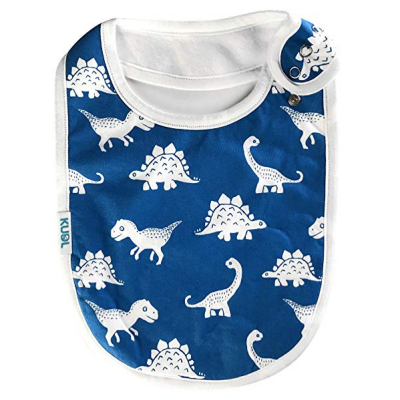 These bibs are chemical- and toxin-free, easy to use, and comfortable for baby. 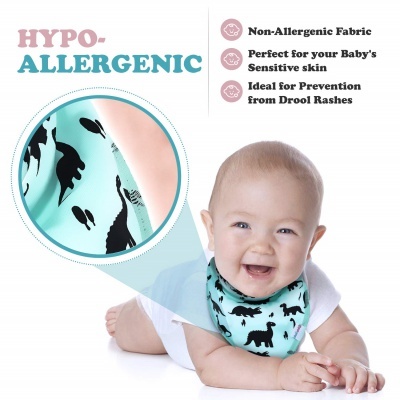 The breathability factor will help baby stay content, or at least eradicate any irritation caused by the bib. 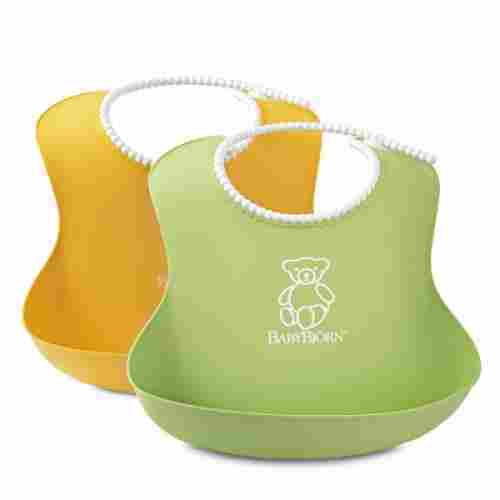 This bib set is a great option for a family that wants fuss-free feeding. They’re easy to clean, easy to store, and easy to travel with. They’re also more comfortable for baby to wear, leading to less squirming and more eating! 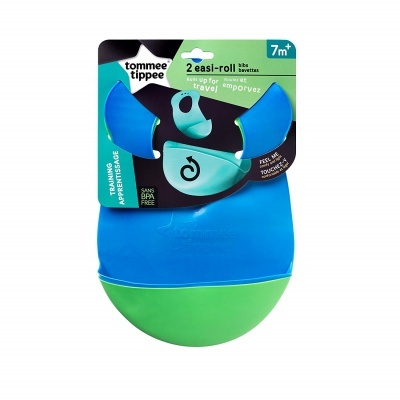 And this Tommee Tippee product comes in a two-pack, with one blue and one green bib so you can swap them out when one needs a good wash, or put one in the diaper bag so you’re also equipped when you’re out and about. These bibs are most suitable for babies 7 months and above, and truly make mealtime far more convenient for everyone involved. If you’re looking for an affordable set of bibs, then the Neat Solutions Bib set is perfect for you. This set is priced under $10 and includes 10 bibs, it doesn’t get much better than that. Each bib is made up of a cotton poly blend on the front and is 100% peva on the back. The waterproof backing will keep your little one dry. Whether you choose the set for boys or for girls, each set includes bibs in a variety of designs and colors. The bibs are lightweight which will allow your baby to wear them comfortably. Your really can’t beat the price or quantity of bibs in this set. It is affordable and will have you more prepared for meal times!
. Each bib includes a velcro tab that will allow you to put the bib on your baby easily. Cleaning them is easy as they are washer safe. Not recommended to be put in the dryer. 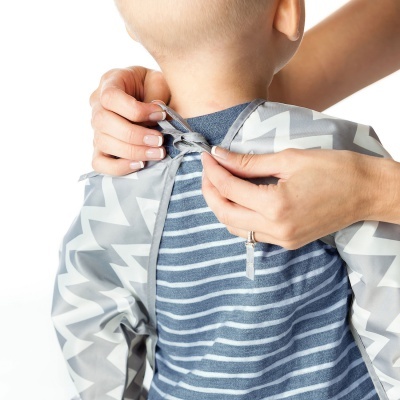 Your baby’s outfit just got a lot more stylish with the Parker baby bandana. These trendy bandanas double as bibs! The front of the bibs are made with 100% organic cotton and the inside of the bibs are made 100% polyester flannel. These bibs are obviously adorable, but they are also extremely practical. The material is super soft and absorbent and the snaps provide easy application. The bandanas are equipped with two nickel free snaps in the back. These snaps make take on and take off hassle-free. They also allow you to adjust the bib as your baby grows. There are four bibs included in the set and you have two sets to choose from. The shadow set which includes white and grey bibs are geared towards boys. The blush set is perfect for your little fashionista. These bibs are recommended for babies who are three to 24 months. Your friends and family will think your baby is sporting a stylish scarf, don’t worry we’ll keep your secret! Dinner with your little one just got a little less messy thanks to the Baby Bjorn Soft Bib. When purchasing you can choose between 11 different colors. With this purchase you receive two bibs, so you can be prepared for every meal time. The bib is just long enough that it will not get caught on the table. The bibs are made from plastic that is not only odorless but BPA free. Each bib is designed with a deep spill pocket, so you won’t have to worry about food landing on the floor or your child’s clothes. This set is recommended for babies 6 months and up. You no longer have to spend an hour after dinner cleaning up, now you can spend your time relaxing. The bibs are equipped with an adjustable neckband, which will allow you to use this bib as your child grows. 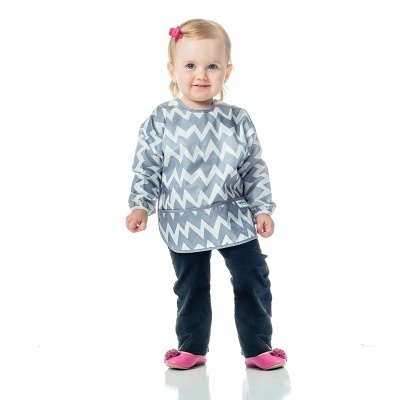 The adjustable neck also provides a comfortable fit for your child. Since these bibs are made out of a plastic material, it makes it easier to clean. You can either rinse them off in the sink or throw them in the dishwasher. 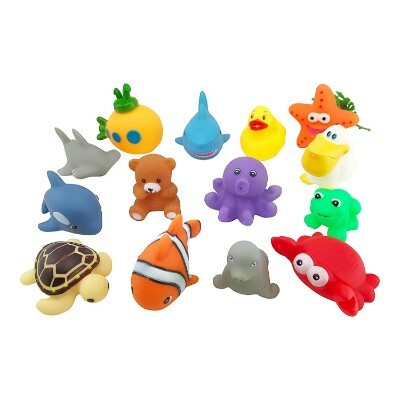 Make bath time a splashing good time with this set of 15 animal squirters. 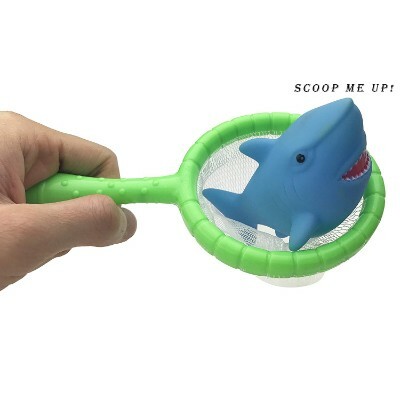 The set includes 15 different squirters and a net to scoop them up with. This makes bath time clean up easy with all these floating around in the water. When it comes to fun these toys have a way of making the kids smile. Simply place down in the water, give them a squeeze, pull out of the water, and squeeze again. Watch their little faces light up as the water comes streaming out of each of the toys. They had a fun playtime element to what otherwise could be a stressful time for your little one. The toys are colorful, bright, soft, and fun. Included in the set is; a starfish, a shark, hammerhead shark, dolphin, duck, turtle, seal, crab, frog, clownfish, octopus, seagull, a teddy bear, and a submarine. All these fun squirters are ready for some bath time fun. 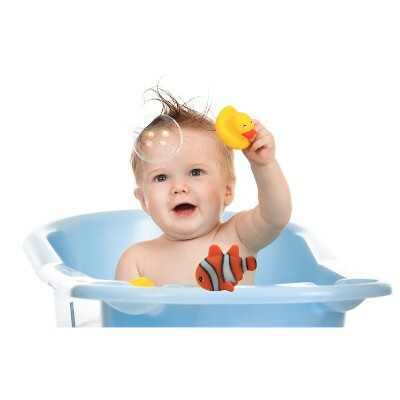 These are made of non toxic materials so that your little one can chew and enjoy them in their bath time fun. Great set of water toys that really gives a fun touch to water play time. They are simple enough to allow the kids to have some imaginative fun, but action packed enough to engage them for hours of play. Playing is also a great way to provide a time in the water to practice some of their developmental skills. These squirters are a wonderful way to improve their coordination. Playing in the bathtub is an excellent way to relieve stress from sometimes a time of the day that your little ones don’t like. These bath toys are easy to clean. All you need is a little bit of warm water and you won't have to worry about any mildew or mold. 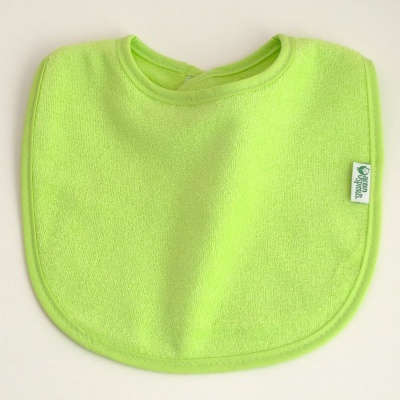 If you’re looking for super soft bibs, the Green Sprouts infant bibs are great for your baby. The bibs in each set come in a variety of colors to match everyday outfits so your baby can eat in style. Made of Cotton Terry cloth, these bibs are super soft. You will easily be able to attach this bib around your child’s neck with the velcro closure. These bibs are designed with extra protection to keep your baby dry during meal times.They are designed with a three layer protection system. The two outer layers are the soft absorbent terry cloth, and in the middle sits the waterproof layer. Parents can easily wipe food from your baby’s mouth without it bothering their sensitive skin. With 10 bibs included in the purchase, you can spend less time doing laundry. Your job is to make your parenting journey a little easier and we do not take it lightly, especially since your child will be using these products. While diligently researching, we decided it would be important that the bibs on this list were easy to clean, fit great, and stylish. Many of the bibs on our list are made of chemical free and itch free materials making each use comfortable. At the end of the day, your kid is simply a kid, thus we wanted each bib to let their playfulness shine. 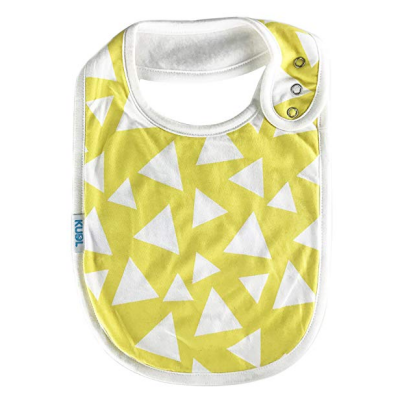 The feeding bibs with bright colors and designs will stimulate their sensory development while also making mealtime more fun. 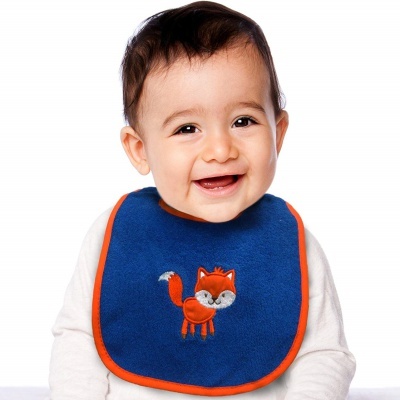 If at first, your child fusses about putting on a bib, try one with a fun animal face or character they like. Choose a design that will get them excited to wear it. There are several feeding bibs on this list that your child might just be begging to wear all day. 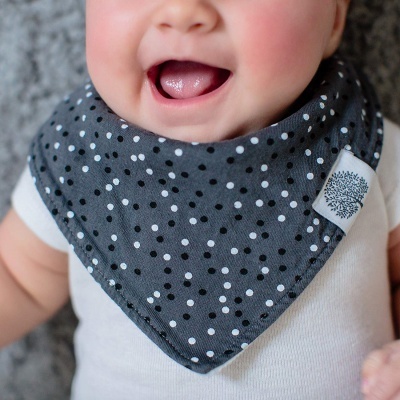 The bandana drool bibs are super adorable and trendy. The other moms on the playground will be itching to know where you got them. 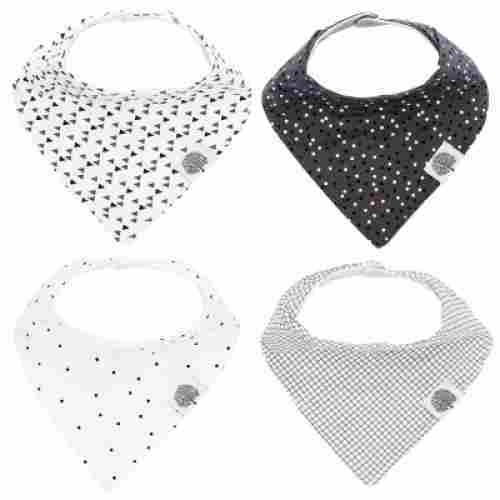 The best thing about the bandana bibs is that they are trendy and practical. They are a fun accessory for any outfit but will also soak up all of your child’s drool. The cleanliness factor of each bib was a no-brainer. We wanted you to be able to spend less time cleaning the bibs you purchased and more time bonding with your baby. Every bib on this list can easily be cleaned. The plastic and silicone ones are great for a quick wipe down or rinse in the sink. 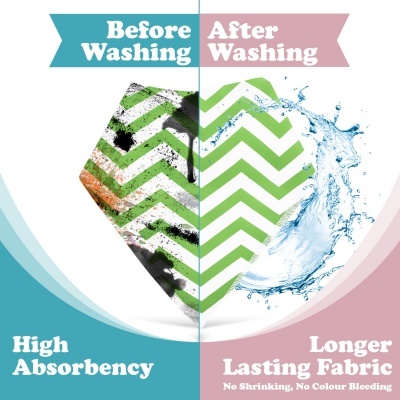 The fabric ones can easily be washed in your washing machine. They also make it harder for your baby to yank of the bib. Velcro is another good option as it can be adjusted but is often not as secure as ties or snap buttons. When purchasing a sleeved bib, make sure the cuffs are elastic so your child can easily roll their sleeves up. It is important that the bib is not loose because food or drool will fall underneath it and land on your child’s clothes. Not only are all of the bibs on this list easy to clean, but they are guaranteed to keep your child clean. Many of the feeding bibs include a catch-all pocket that will leave your child’s pants and your floor spotless. No more worrying about bits of spaghetti staining your carpet. The drool bibs are highly absorbent and will soak up even the heaviest of amounts of drool and spit up. We paid close attention to the secure closures of each bib. 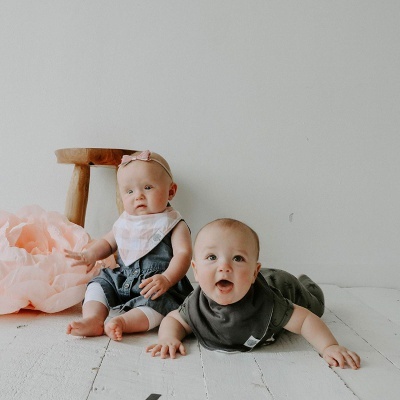 The adjustable ties and snaps are the best options as they will not irritate your child’s skin and will allow you to adjust the bib as your child grows. q: What is the difference between feeding and drool bibs? 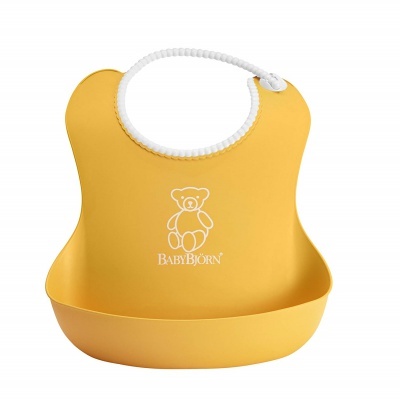 Feeding bibs are designed to guard your child’s clothes against food and liquids during meals. Generally, they are only worn during meal time. Many include a catch-all pocket to grab any food that is dropped. Drool bibs are designed to absorb moisture but are often trendy enough to be worn throughout the day. They are also much smaller than feeding bibs. q: How many bibs should I own? This can be left up to personal preference. 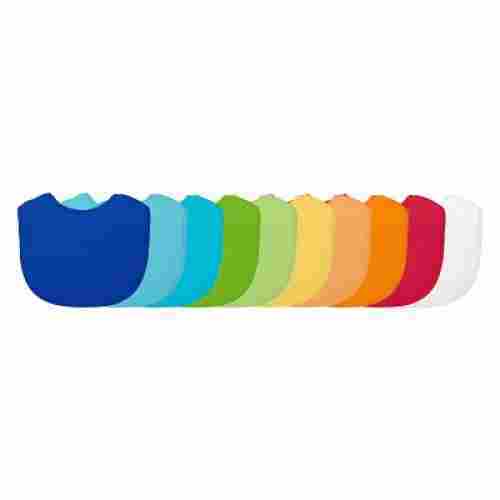 If you end up purchasing a silicone or plastic bib that can easily be wiped off with a cloth, you will not need as many because you won’t have to wait on them to be washed and dried. Being prepared is always great; we recommend having several on hand. Purchasing a set is always a good idea! q: At what age will my child need a bib? q: Do I need a bib in my diaper bag? Yes! We know that you already have plenty of stuff loaded in your diaper bag. Purchase a bib that can easily be folded up and stored. q: Can I throw my bib in the dryer? Depends on what type of bib you have. Always read the care instructions found on the tag or packaging as some bibs require that they are air dried. q: My child always gets fussy when I put his bib on. What should I do? Your child is probably uncomfortable in it. Check to make sure that the bib is not too tight. You want it snug but your baby should still be able to move. Make sure that the closure on the neckline is not irritating them. For instance, the Velcro could be scratching their skin. 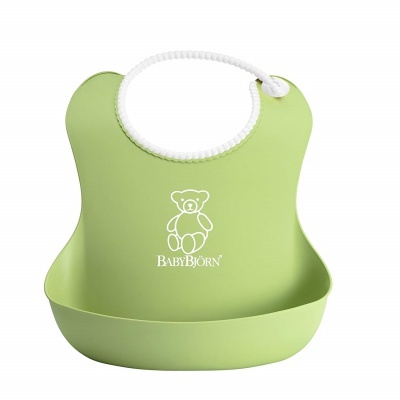 Furthermore, make sure the material of the bib is soft enough for your baby’s sensitive skin. q: I don’t want to throw a dirty bib in my diaper bag. Is there another option? There are bibs that fold into themselves, which will contain the mess on the bib until you are able to clean it. There are also disposable bibs you can throw it away right after use. However, if you are on a tight budget using disposable bibs constantly can get expensive, much like diapers.